Not me Amy, this Amy*! This isn’t going to be at all confusing. I am so excited to introduce the newest member of the Berroco Design Team, Amy Palmer. Amy is joining Berroco as the new Media Director. 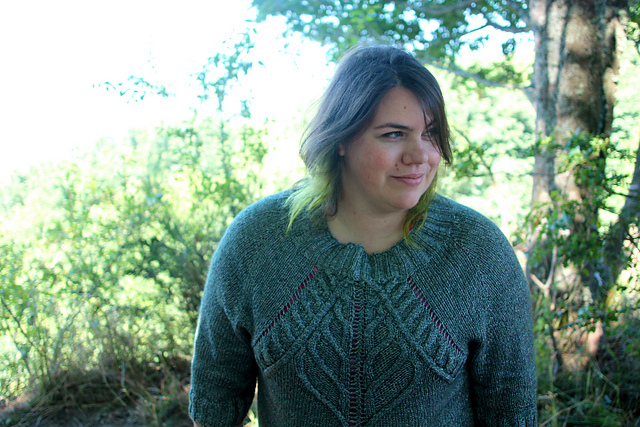 This is not her first appearance on the Berroco blog, I featured her Daqin pullover here and her Sislana pullover here. Today is Amy’s first day here in the office, and we are super excited to have her here. Soon she will be a regular contributor here on the Berroco Design Studio blog but for now I thought I’d start her off with a few fun and easy questions. Q. How did you get started knitting? A. I saw my friend Betsy knitting one day and remembered wonderful time spent with my grandmother when I was really young, teaching me how to knit (it didn’t stick then). When Betsy started teaching me, it came back pretty quickly, and then I couldn’t put the needles down! Q. If you were a yarn, what kind of yarn would you be? A. Probably something like Berroco North Star—fluffy and squishy and awesome. Q. What is your favorite type project to knit? A. I’m really addicted to sweaters, which is great for a person who’s been living in colder climates for a while. Lately I’ve had a lot of hats on my mind, too! Please join me in welcoming this Amy to the Berroco Team! Welcome Amy . . .
You’ve joined a wonderful team. Enjoy! Welcome Amy, I will be looking forward to seeing your designs and other information here. Enjoy your new job! Welcome Amy to the Berroco team ! 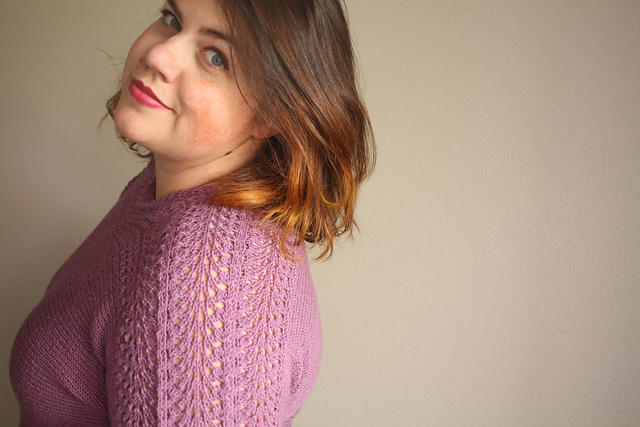 Next article Emily Explains: Cutting the Steek!